Novell Design Studio’s Great American Metal Exchange (GAME) program allows qualified jewelry stores to trade in unusable precious metals for Novell’s new Studio Platinum bridal-classics collection. It’s a weight exchange with a minimal program fee. Acceptable precious metals for this special opportunity are platinum, gold, and palladium. Is there a better way and time to profit from your under-performing, broken, and damaged merchandise? The GAME is a meticulously planned and executed bridal jewelry stimulus package. It meets the challenges of the hard economy head on! How Do You Qualify for the GAME? Qualifying for Novell’s GAME is easy. You must be a retail jewelry store with a strong bridal presence, or have a commitment to strengthen your bridal business. Candidates should have an active account with Novell Design Studio, but those that do not can apply for an account with a GAME facilitator. GAME participants have to comply with a few very reasonable terms and conditions as well. Interested jewelry stores also need to have enough platinum, gold, or palladium to complete the trade. Just call or e-mail any one of Novell’s GAME facilitators listed at www.novellsgame.com/game-facilitators.html, and they will make the confirmation process very easy for you. Novell’s Studio Platinum collection is specifically designed for the Great American Metal Exchange. Studio Platinum is a registered and branded Novell Design Studio creation. The new-product line will be wholly marketed to consumers and trade. Studio Platinum’s styling targets the nouveau-classic tastes of today’s bride. It is a collection of the traditional bridal jewelry standards, made to be most relevant for your customers. 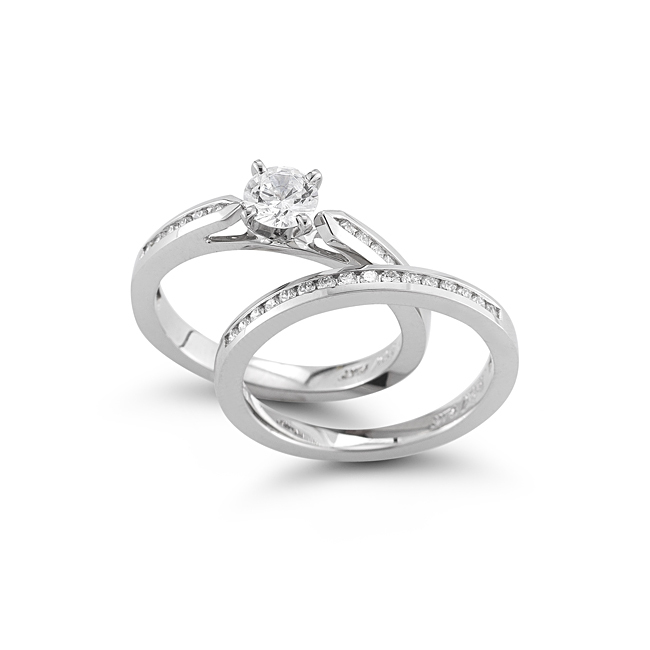 All designs are artfully crafted to be affordable in the best metal the world has to offer – platinum. Although Studio Platinum samples will feature platinum, styles will be available in other precious metals by special order. Customization is easy through Novell’s Custom Shop representatives. Novell manufactures the entire collection in their 24,000 square foot New Jersey facility. Their reputation for flexibility, quality, and serviceability is unequaled. Why Tout Platinum Bridal Jewelry? The new social-network consumers, both male and female, conduct extensive online research before committing their hearts and dollars to their bridal jewelry purchases. But during this discovery phase, what do they find out about platinum? They find out that as a setting, no other precious metal will be as durable or as protective of diamonds. Platinum is the only precious metal that doesn’t wear down and decrease in content over time. Consumer research tells us that 81% of women about to be engaged want platinum,* while the primary reason consumers purchase something other than platinum is because the product was not available at the store. ** The GAME solves this problem by positioning your store to make your customers’ dreams come true – and earn you a more profitable sale in the process. Please visit www.novellsgame.com for more information. But act now, as Novell’s GAME is for a limited time only!